As we know, shooter games are now very common in mobile apps. Yet it seems this new game we will be reviewing for today has gained a lot of attention – not to mention players – from the public. 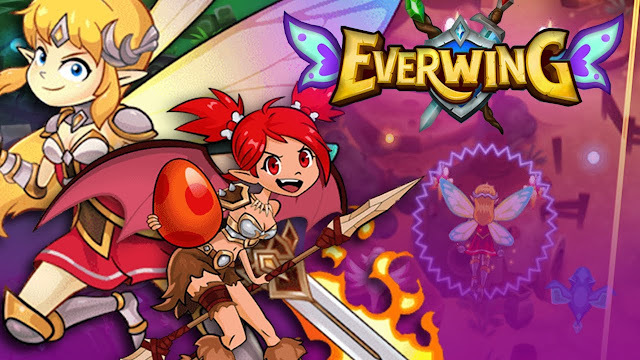 Meet Everwing! Shooting down ugly winged monster while being a winged fairy yourself and have winged sidekicks. Sounds simple right? Guess again folks! 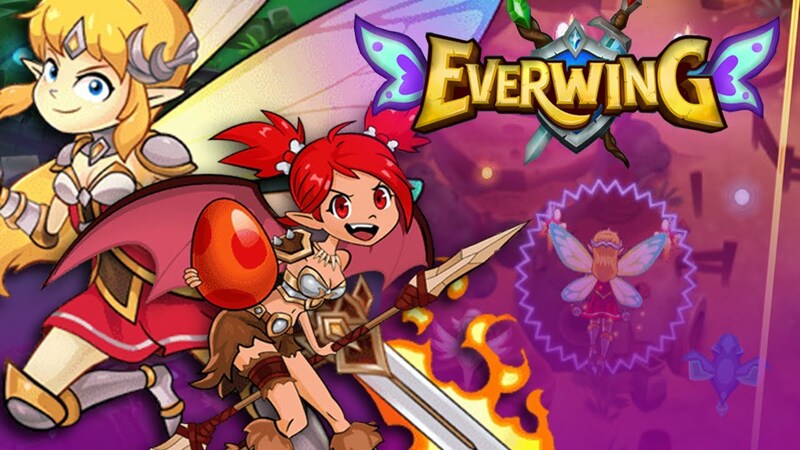 Ever since Everwing was launched last year, it has gained millions of fans! The game’s hype level is the same as that of ‘Flappy bird’ and ‘Color Switch’. The game is highly addictive because of its competitive streak. Advancing to a higher level gains you multiple rewards and unlocks more items you can buy within the game. Before anything else, make sure your device is running on iOS8 for Apple and/or Android 5.0 Lollipop or higher. Download the Facebook Messenger App. Open Messenger directly and search for Everwing. Press Play and enjoy! You play the game as fairies called Guardians. You start the game with Alice, the Guardian of Courage. You can unlock different Guardians by leveling up and buying them with gold. Different Guardians have different abilities. You can also upgrade your current Guardian with gold to make them stronger. Do you know what makes the game better? DRAGONS! Yes, there are dragons in the game! Dragons are called Sidekicks that fight the ugly monster alongside you. You can use two sidekicks at the same time. Like the Guardians, you start off with one dragon egg for a Sidekick. When it hatches, they differ from each player, but they are all of the Rare type. You can unlock and buy Sidekicks as you level up. Each Sidekick also has different abilities; Common dragons have no special ability but has high attack damage, Rare dragons have abilities and medium attack damage, and Legendary dragons have special abilities and high attack damage. With each wave of monsters, there are Monster Bosses you need to defeat in order to gain more coins and power-ups. There are five Bosses in the game, three of which you can encounter as early as level 1. If you’re new to the game, your priority is the money. The game doesn’t reward you much when clearing far, so you’re better off with just playing short runs to get to the Boss. This means you don’t have to spend money to upgrade your attacks (Yet). Collect Dragon Eggs. Keep on playing and completing the given quests (the ones on the bottom part of your screen) to gain Dragon eggs. The first time you’ve completed a quest, it gives you a Legendary Dragon Egg. Join Group Raid Rooms! Join in on as many as you can because it will save you time on gaining more money. You’ll only get a fraction of the awards but that can mean a ton of gold if you’re just a beginner. You can find these groups all over Facebook. Unlock Lily. Lily costs 30,000 gold and you can get her at level 6. If you haven’t reach that level yet, don’t spend your gold! Lily is the Gold Drop Fairy that has the ability to multiply your rewards. Passively collect gold by unlocking other fairies, and actively collect gold by doing runs with Lily until you collect as much gold as you can until she reaches lv. 50. Level up your Sidekicks. Always level up your Dragons. They will save you and get you more gold. Leveling them up and evolving them will give you a very strong Sidekick to fight with. Everything in Everwing is certainly colorful. With the Guardians having a Japanese anime vibe to it, the cute cartoon-ish dragons and even the monsters and the Bosses are unique and vibrant. The music is perfect for the game because it makes you want to go on an adventure yourself. It’s the kind of music you would like to listen to while completing quests. Everwing is a very competitive game. It has a leaderboard that lets you compete with your friends to get a higher rank. Higher rank means more trophies! It’s also a fun game because you can play for as long as you like. The game has a lot of things that keeps players hooked on it. Among these would definitely be Dragon collecting. Everwing doesn’t have that many dragons to collect. You need to constantly level up and gain coins and trophies to buy Dragon eggs. The excitement and frenzy you get by collecting them and making it hatch is exhilarating for players. Add in the Quests and Boss Raids that you can unlock in higher levels and play with your friends, and Blackstorm Labs’ got themselves players who’ll happily play the game for hours on end. After downloading it, I got hooked! I couldn’t stop playing the game. It’s a build-up type of game that takes time to level up. I guess the only thing I didn’t like is the game invites. Every time you play, you need to invite a friend. I get that its part of their promotion tactic, but with quests often requiring you to invite different friends (you can’t send it to the same person twice for 10 days after), I think it’s too much. In total, I give this amazing game a 9/10! Now who’s ready to play? Fairies can't get past level 50 while dragons are capped at level 30. Basically in this game there is a player level XP. The higher the player level XP the more fairies become available. So example for the fairy Lily you can only get it if you are at level 6. The fairy Arcana on the other hand is only accessible if you reach Level 40. These fairies also have certain levels that increase their firepower ( caped at level 50). Fairies can bring sidekicks which are usually capped at level 30.
upper left side of the screen there is a shield icon followed by a percentage value. The number inside the shield is your current level. When the percentage value reaches 100% you will be promoted to the next level.